We’re currently head over heels for a new men’s fashion trend: the modern kimono. A collaboration between Norway’s T-Michael and Japan’s Y. & Sons has created a new kimono style, the T-Kimono. It’s a piece of outerwear that’s both sharp and ultra-modern. T-Michael — a Ghanaian designer based in Bergen, Norway — is a bespoke tailor. He also creates ready-to-wear and accessory collections under his name. From suits, shirts and bags to shoes, T-Michael designs head-to-toe looks for his dapper clients. He also has a knack for blurring boundaries in his creations, pushing the concepts of men’s tailoring away from tradition. It’s easy to see why T-Michael wanted to collaborate with Y. 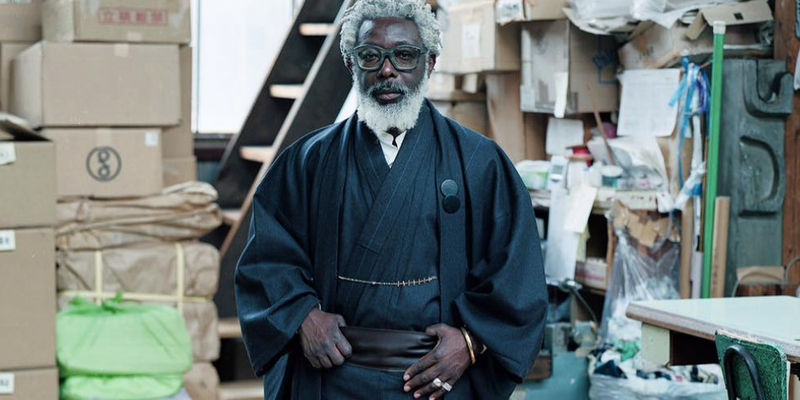 & Sons to update the traditional Japanese robe. Faithful to quality, Y. & Sons has been creating authentic Japanese garments for years. Like T-Michael, Y. 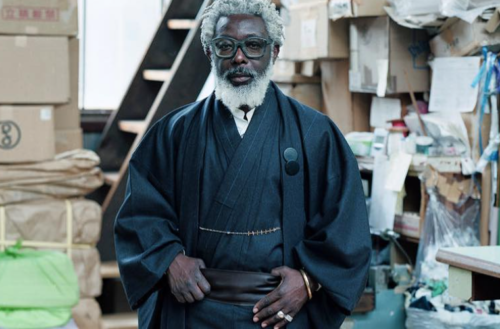 & Sons focuses on precise tailoring, with the vision of making kimonos part of a man’s everyday wardrobe. That’s something we can definitely stand behind! With this collaboration, T-Kimono combines the robe’s classic silhouette with minimalist Scandinavian style. Using western wool-suit material, the weight of the T-Kimono fabric drapes nicely and creates structured curves and lines. Cut in the more loose-fitting nature of a kimono, this new take blends Western and Eastern design aesthetics for a fresh and modern — an instantly head-turning — look. Available in classic colors like blue and gray, the new T-Kimono is all about monochromatic style. With its update, T-Kimono hopes to capture a younger, fashion-forward clientele looking to smartly add a bit of outrageous fun to their wardrobe. For additional information about T-Kimono, head here.